This certificate verifies that Quanah Parker Burgess, a member of the Comanche Nation, created this item. Quanah Parker Burgess, Comanche artist, was born on August 15, 1975 in Lawton, Oklahoma. He attended public schools in Lawton, Oklahoma. He lived in New Mexico for six years, where he graduated from Santa Fe Indian School in 1993. He also studied at the Institute of American Indian Arts in Santa Fe, New Mexico in 1993-94. Although his formal education is not extensive, Quanah still has plans to pursue his college education in fine arts. From his childhood, Quanah began to draw and completed his first painting at the age of six. He now continues to paint in acrylics, watercolor, and pastels. Quanah began his professional career when he sold his first painting at the 1996 Olympics in Atlanta, Georgia. In 1997, Quanah exhibited his work at the American Indian Exposition in Anadarko, Oklahoma, placing second with a drawing entitled "Wolfman Richard Poafpybitty." In 1998 Quanah again placed second, this time in painting, at the American Indian Exposition. He was also accepted into Red Earth for the 1998 and 1999 art show. 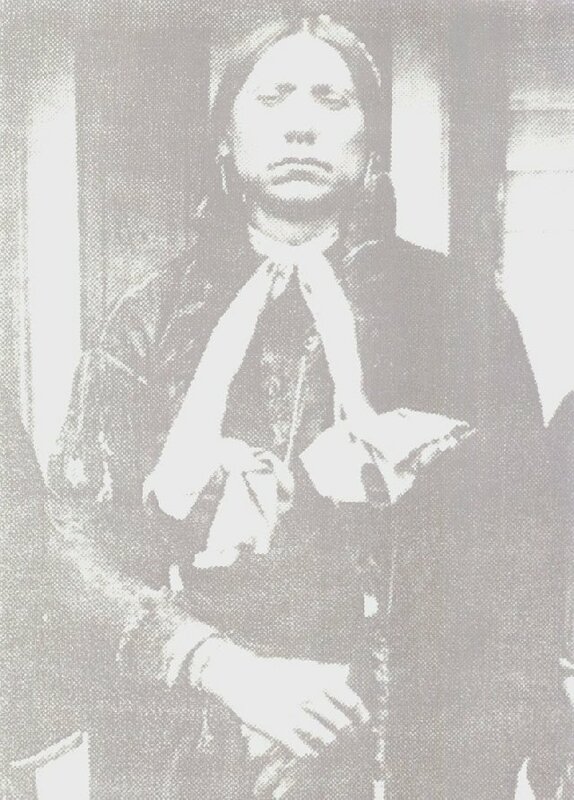 Quanah is the great, great grandson of Chief Quanah Parker, the last war chief of the Comanches. He is from the Kwahada Band (Antelope Eaters). He is a third generation artist. His maternal grandfather, Simmons Parker, was an artist and Fancy War Dancer. His paternal grandmother, Daisy (Tachaco) Waters, was an accomplished artist who painted, created leather works, and also beaded. His father, Ronald Burgess, is the artist who created the first Comanche Seal which is still used as the symbol of the Comanche Nation. To Quanah Parker Burgess, art is the opportunity to help preserve the culture through Native American subjects. It is also an expression to reveal a beautiful culture that so many know little about. Click Quanah to enter gallery! Welcome! you are number to visit!